Posted February 1, 2014 by Siobhán Holliman, The Tuam Herald in Features. 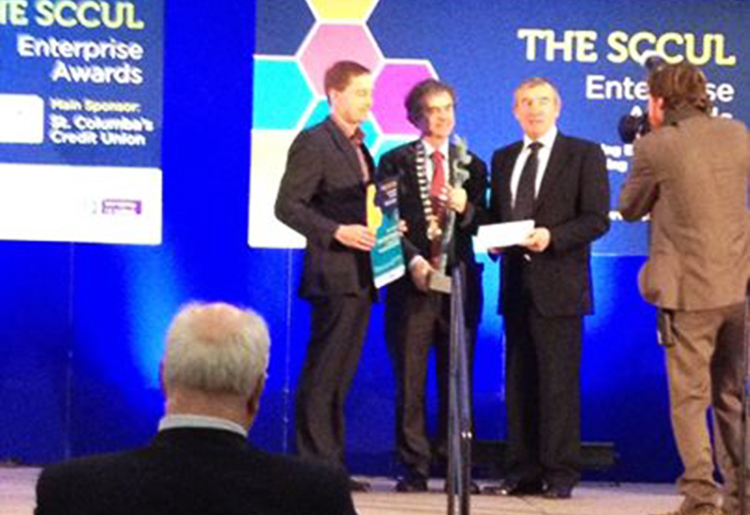 Green Earth Organics Farm in Corrandulla has won he top prize of €10,000 cash in the Galway SCCUL Enterprise Awards. 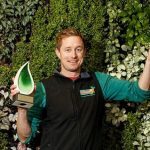 From a humble veg box scheme this North Galway farm has grown in eight years to include nationwide delivery of customised organic veg boxes through their online ordering platform, supplying many supermarkets in the West of Ireland as well as award-winning Galway restaurants such as the Michelin star Aniar along with a number of other retail outlets. Established in 2006, Green Earth Organics is the brainchild of Kenneth and Jenny Keavey who relocated from London to take-over the farm that had been in their family for three generations. 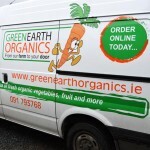 Their dedication and hard work has resulted in the farm becoming one of the biggest organic vegetable farms in the West of Ireland, which employs seven full-time and two part-time staff. Owner Kenneth Keavey was presented with his prize by Martin Sisk, President of the Irish League of Credit Union of Galway, who sponsored the winner’s prize at the event in NUI Galway on Monday. 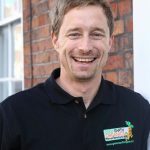 “In 2005, I left my well paid job as a senior research scientist working for a bio tech company in the UK to come back to Galway to start Green Earth Organics. My wife Jenny and I had a vision to develop an organic food production and supply businesses from the family farm. Over the six years we’ve worked hard and changed our business model by taking risks and looking outside our current box,” said a delighted Kenneth. “Jenny and I are really thrilled to receive this award as last year we were a One to Watch in the SCCUL Enterprise Awards. We will invest our award back into our business to help us take our business to the next level,” he added. 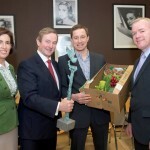 Green Earth Organics also receives a €2,500 advertising package from media sponsor Galway Independent and a specially commissioned sculpture by Galway-based sculptor Liam Butler. In addition to claiming the overall prize, Green Earth Organics won the SCCUL Enterprise Agriculture & Food Award. Minister of State for Research & Innovation Sean Sherlock congratulated the work that the Corrandula farm business is doing. “Over the past few years they have developed a sustainable business with the potential to expand and create employment,” said Minister Sherlock.